Here is the story of how a set of focused youth who decided to impact lives by contributing to create a hunger free society, became the reason to create smiles on thousands of faces! July 31, 2016. 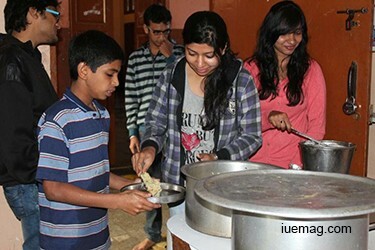 With the announcement of the theme of the week, which was to initiate a meal donation campaign assisting the vision of 36meals.com to create a hunger free world, the delegates of i3 season 5 of Bangalore, India went back with a strong decision to impact as many lives possible. The campaigns initiated by each of them became an opportunity to unleash their potentials and to explore bigger opportunities. "I had never thought that donating a meal would give such an amazing feeling! Whenever I found someone offering help, I never understood why they did so, but I realized the truth - the happiness in giving, only when I went and donated meals which lit the face of so many people" said Likith, a student of SKIT, Bangalore. Every delegate who was involved in executing the project came up with various innovative ideas. Shriya Satish, a graduate in fashion designing from MCC, Bangalore named her initiative - i3 Happy Bellies. Exploring her entire network, she found 60+ supporters who helped her in the execution, also in raising funds from different colleges - Jain College, Jayanagar and AMC Engineering College. "I have a friend from Nepal who served food for kids in an orphanage named Chahari. My mother's friend who got to know about my campaign immediately funded Rs. 10,000. When I found so many people who joined hands to support me, I realized that there is still so much goodness in the world. I would like to thank every single person who supported in making this campaign reach so many lives." Her execution also involved spreading the positivity on social media platforms. Arjun Sridhar, an engineering student from Jain College, Kanakpura road, Bangalore explored all opportunities to create a massive impact. Involving his friends and his father's, he led the campaign and successfully donated 450+ meals in multiple cities of India including Hyderabad, Pune, Mysore, Ahmedabad, Chennai, Dehradun, Kolkata and Manipal. He also involved his friend in Nepal to serve the needy. Kavya NV, student of Vemana Institute of Technology shared her experience - "The wishes from every person who received food, were so genuine. The smiles on their faces are unforgettable. Thanks to i3 for giving me such a wonderful opportunity to experience the joy of giving." 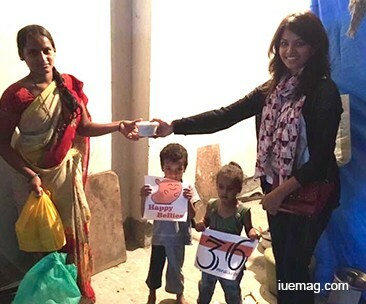 Pooja from Impact college, Bangalore also initiated a contest on social media where any individual could donate a meal and capture the moment, post the picture of the meal donation and the best picture was rewarded. Although there might have been involvement of people for the sake of the contest, the moment they donated meals would have melted their hearts, making them realize the importance of what they did. Many other delegates took initiative to approach hotels and other places, collecting the excess food which would otherwise go waste. 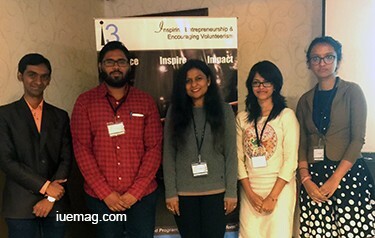 Monica, Rakshitha, Mallika and Prajwal were some of the delegates whose contributions had a major role. By the end of the week, every delegate had his/her mark in the lives of many. More than 3200 meals were donated in 9 cities of the country and in Nepal, in a week's time. The execution did not just fulfil the hunger of 3200+ people, but also created a sense of responsibility in the delegates, the volunteers they involved and their surroundings. Creativity of each delegate was unmatchable. All in all, the execution of these young champions aged 19-25, clearly proves that today's youngsters can be way more responsible than what the rest of the world thinks they are. The lines said by the American writer -Alvin Toffler, is something that the world needs to remember for now and forever - "The secret message communicated to most young people today by the society around them is that they are not needed, that the society will run itself quite nicely until they, at some distant point in the future, will take over the reigns. Yet the fact is that the society is not running itself nicely, because the rest of us need all the energy, brains, imagination and talent that young people can bring to bear down on our difficulties. For society to attempt to solve its desperate problems without the full participation of young people is imbecile." Any facts, figures or references stated here are made by the author & don't reflect the endorsement of iU at all times unless otherwise drafted by official staff at iU. This article was first published here on 10th August 2016.